Vibrant humor, polished showmanship and dazzling illusions are the vital elements in a brilliant night of magic. Whether you are planning an Intimate occasion or a major celebration, Rajan has the style to suit. He can Kick start any event and…. keep it going! 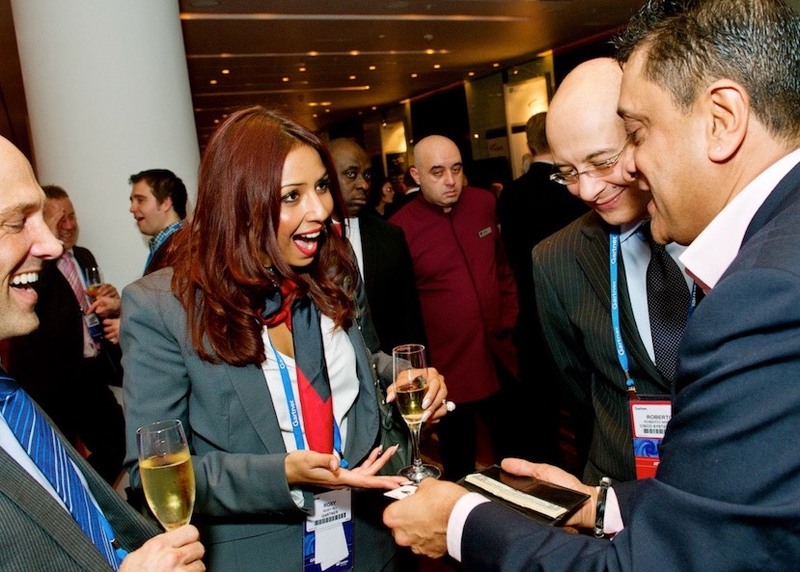 Cocktail Receptions, Walk Around Events, Trade Shows, Corporate Hospitality, Summer Parties, Wedding Receptions etc... are the perfect time for your guests / clients to enjoy the astonishing artistry, digital dexterity and the engaging charm of Rajan. He will make time fly by till you are ready to move onto the next part of your event. Any unforseen delays (should they occur… and they usually do) can be covered, eliminating 'dead time’ and keeping the party going so that no one’s any the wiser. You can’t afford not to have Rajan at your very special occasion! Look at the faces of the people in the photos to the right. 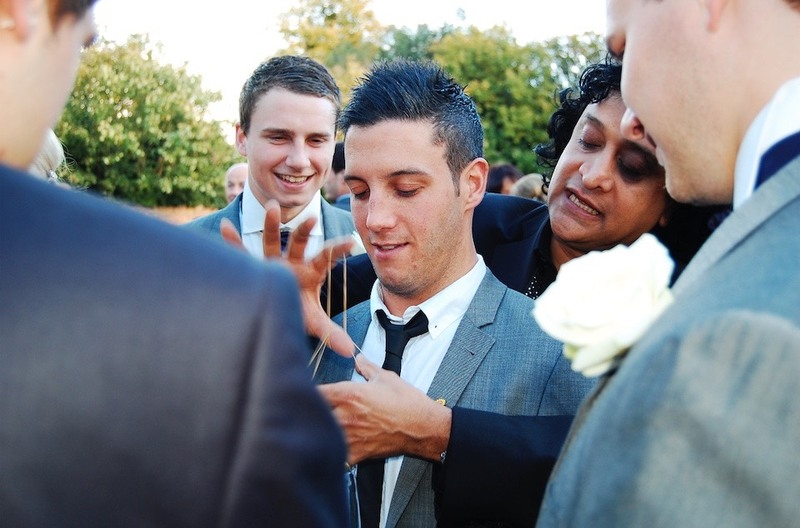 Your guests too, will love every minute of being amazed by one of the world’s finest magicians. Not only will your own photographer capture similar great images showing what an amazing event you had, but everyone will be talking about it for a very long time. 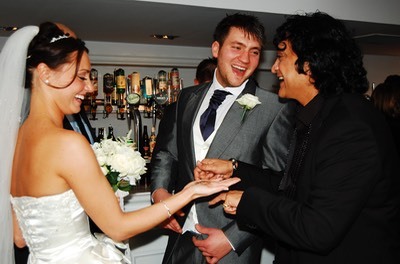 Why not combine 'Mix&Mingle' with ‘Around the Tables’ option for even more mind boggling entertainment at your party. The two options compliment each other perfectly, yet the style and magic on offer in each is quite different. "WOW!... 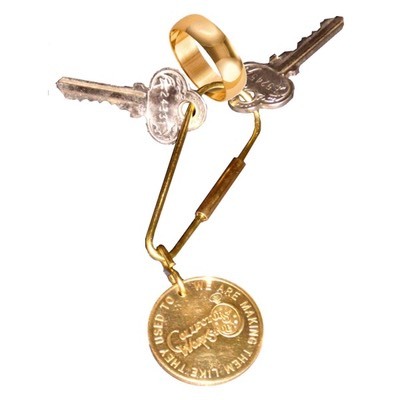 how did my ring get on your keys?! "… Lady Isabella Hervey. "Brilliant! ...you were the topic of conversation after you left"… David and Victoria Beckham.